Meet Dr. Kenneth Tripp, Jr.
Dr. Tripp is a North Carolina native, born and raised in Knightdale, N.C. Coming from a family of medical professionals his interest in the field of medicine started as a boy. His love for dentistry began when a fall off his motorcycle necessitated a visit to the dentist to fix a broken tooth. It was this visit that sparked his interest in the field and he decided to pursue a career in dentistry. 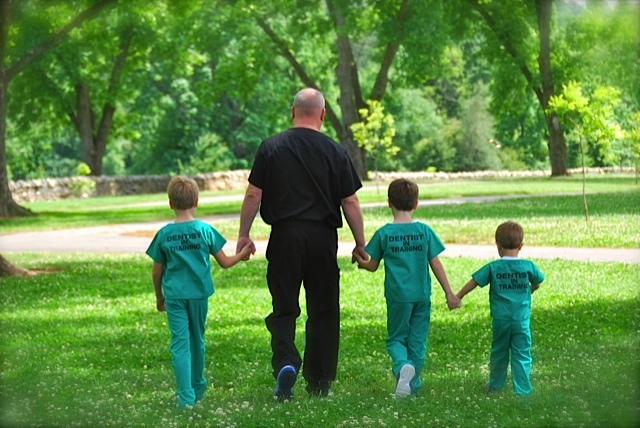 He has been practicing dentistry for over 19 years and has been in his current location for 9 years. 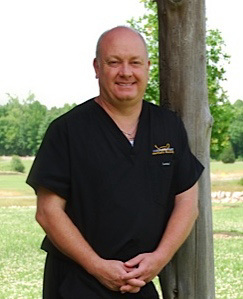 He received his undergraduate degree from North Carolina State University and then attended the University of North Carolina at Chapel Hill School of Dentistry where he received his DDS in 1993. He continued his studies at the University of Missouri-Kansas City for an aesthetic continuum, and then entered the Las Vegas Institute for Advanced Dental Studies (LVI) where he studied advanced cosmetic dentistry. Dr. Tripp has received specialized training in Dental Sleep Medicine which includes the Mandibular Advancement Splint (MAS), a device that is worn in the mouth to treat Obstructive Sleep Apnea (OSA). He has placed over one hundred of the MAS devices with tremendous patient satisfaction. Since 2004 Dr. Tripp has been using CEREC technology for the placement of crowns. A CEREC crown is a tooth-colored crown, or partial crown, designed and milled using CAD/CAM (computer) technology here in the office in about 2 hours. Dr. Tripp also has been trained in the placement of Six Month Smiles, a technology that uses clear braces to gently straighten and align teeth in an average time of just six months. Dr. Tripp is a member of the American Academy of Dental Sleep Medicine and the Seattle Study Club. 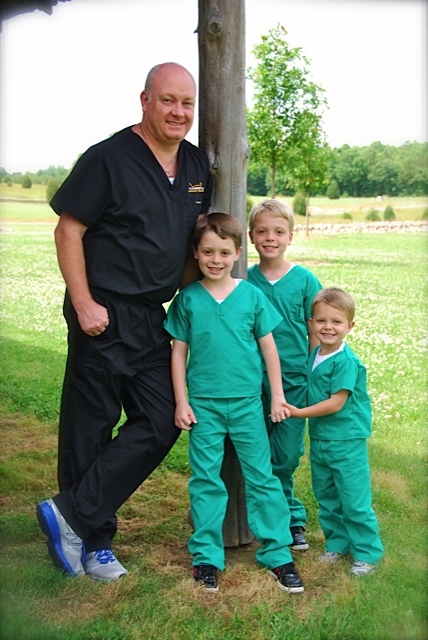 When not practicing dentistry, Dr. Tripp loves spending time with his wife Terri, and their three active sons. His hobbies are auto racing, fishing, and supporting the Wolfpack. He also volunteers his skills and time to a program at his church that provides dental services to Belarusian children.